On Wednesday July 29th I had the unique opportunity to participate in a panel discussion regarding Workforce Development. The event was presented by The Worthington Area Chamber of Commerce and the City of Worthington. Joining me on the panel was Dawn Larzelere from the Governor’s Office Ohio of Workforce Transformation and Brad Mitchell from Battelle for Kids. We discussed issues such as how can government leaders, educators and employers work together to create a unified workforce system to help employers find the skilled workers they need to succeed and grow? How can we ensure that workers access the skills training and resources they need to compete for in-demand jobs? 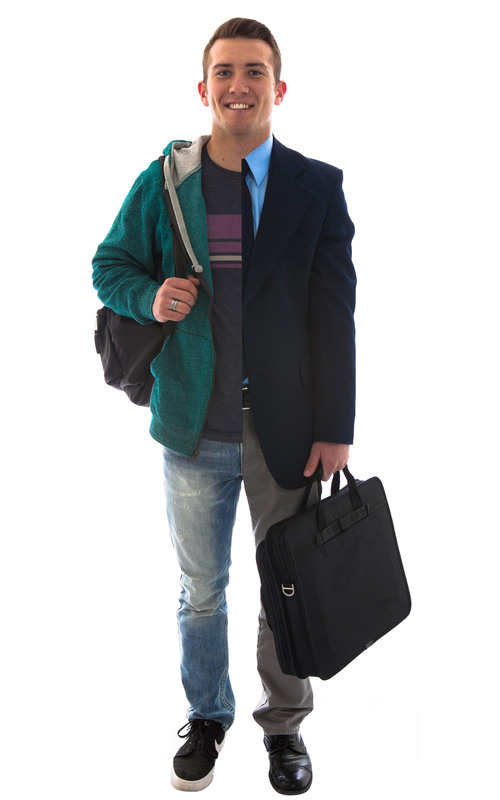 As educators we have a responsibility to prepare our students for life after high school. Discussions such as the one we are planning for Wednesday help us understand what employers are looking for so that Worthington’s students are up for the challenge! 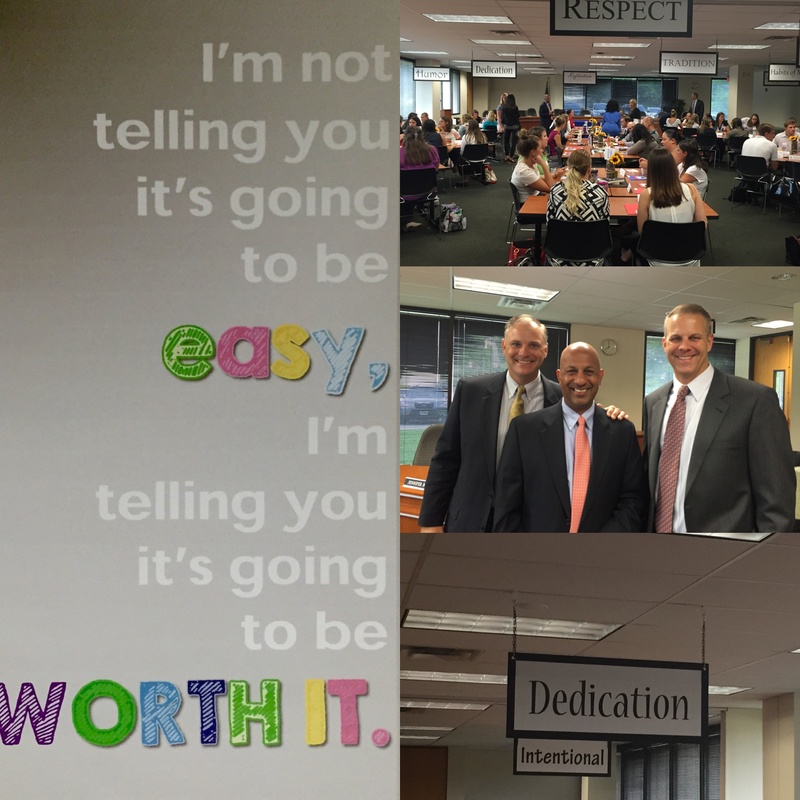 Worthington’s business community greatly values our K-12 public education system. Much good work is being done to prepare our students for college and the workplace. We have high-quality teachers in Worthington and a learning system that graduates many students who are well-prepared for higher education and the workforce. Some statistics show that 80 percent of the jobs of the future do not yet exist. In a few short years according to Complete College America, 59 percent of Ohio’s jobs will require a postsecondary credential by 2020. Thirty-six percent of Ohio’s adults currently hold this qualification. Thus more can and should be done to prepare today’s students for the world of tomorrow. To that end, we continue to implement our rigorous standards-based learning models, that will improve upon what already is working and make sure our students graduate ready for a bright future. Making sure our students truly are prepared for college and careers is one of the most important things we can do to build a stronger Ohio (and Worthington) economy. A top priority for business leaders is ensuring our system is giving our young boys and girls the educational foundation they need for future jobs that we do not yet even know about. That’s why companies like Honda, Worthington Industries and Abbott are joining in educational partnerships with Worthington Schools to address education and workforce needs. Producing a high level of educated workers keeps businesses investing in our city, helps grow our local economy and benefits our community. Our cities long-term economic health, stability and ability to grow our economy depend on the preparedness of our future workforce and their ability to compete in today’s global workforce. The job market is more demanding today than ever before, and we owe it to our students to prepare them for what they will face when entering it. On Monday (7.27.15) we held the first day of our 2015 new teacher orientation. This year we welcomed 87 new teachers to Worthington. Some of these new teachers have taught in other school districts and some will be in their first job out of college. Several of our new teachers are graduates of Worthington and they return home intent on impacting the next generation of Worthington students. “Today is a big day. It’s the beginning of a new chapter in your life and for some of you and hopefully all of you, many chapters in your story. I’m a second generation Worthington educator as my dad was a teacher for a time at Thomas Worthington High School. In 1996 I sat in my own new teacher orientation in the cafeteria at Thomas Worthington High School. I don’t remember much from that day, but it was the beginning of my professional journey in Worthington Schools much as your journey begins today. Worthington is a community with very high expectations for education. That makes it a great place to work and at the same time it makes it difficult. The fabric of the Worthington community is such that we believe in putting kids first and we place a high value on education. You will be supported in this community but they will hold you accountable. The good news is, it’s Worth it. You’ll be asked to do a lot of things. We expect that our students learn the Ohio standards. We know you will teach using research best practices such as formative instructional practices. You’ll make sure that every student knows exactly what it is they need to learn (using learning targets and rubrics) and you’ll provide feedback on their progress and help them set goals for improvement. We know you’ll use assessment results to plan individualized instruction and you’ll help every student maximize their potential in class. We’ll expect that you collaborate with your colleagues and participate on your teacher-based team. These things are a given. Unfortunately we’ll likely throw other things at you as well. That’s the nature of public education where the pace of change is fast and the political environment creates constant churn. In the midst of all that has to be done and all we as a district and a community expect of you I want you to focus on keeping the main thing the main thing…. Your number one job is to help every student in your care to grow and for you to strive daily to make a positive difference in the lives of kids and families! As a teacher you have great power. Your words and your actions matter. How you view every child in your class will be evident to every child in your class. In Worthington we believe that every child can grow. We believe that with hard work anything is possible. We believe that students who know their teachers believe in them will accomplish more than they ever thought possible. Lead your class with that in mind. Make sure your students know you believe in them, that you’ll set high standards but that you’ll do everything possible to help them reach those standards. If you do that, you’ll be successful in Worthington and more importantly you’ll have made a positive difference in many lives. According to EDBuild 9% of Worthington School students live in homes that fall below the federal poverty line (as reported in the US Census Small Area Income and Poverty Estimates data set.) Students in these homes often rely upon school meals as a consistent source of nourishment. Throughout the summer months Worthington Schools has offered free Breakfast and Lunch to eligible families at Slate Hill Elementary through our summer feed program. Unfortunately there is still need and we are blessed in Worthington Schools to have community partners that seek to aid our students and their families. One such partner is the Family Mentor Foundation. If you’ve ever wondered what happens to the kids on the weekend who get their best meals in the school cafeteria, a local nonprofit has the answer. Family Mentor Foundation is dedicated to feeding kids on the weekend in Worthington and Columbus schools. Last year, Family Mentor Foundation piloted their Buddy Bag program at Kilbourne Middle School, providing breakfast and lunch to hungry students during school breaks. The program was a tremendous success. For the 2015-16 school year, Family Mentor Foundation will increase the number of students they serve by providing weekend food to 250 students. The current wait list is 1200 children. With this great demand for services, the Foundation launched their first fundraising campaign and they need your help. The Family Mentor Foundation Buddy Bag Campaign runs July 20 to August 2. The goal is to raise $10,000–enough to provide weekend food to 250 students for two months. 100% of every dollar donated goes directly to food. $5 provides breakfast and lunch for one child for one weekend. $20 provides weekend food for one child for a month. $160 provides weekend food for one child for the entire school year. Imagine a classroom where every child has the food he or she needs. Together, we can conquer childhood hunger in our own neighborhood and in our schools–one child at a time. Check out www.familymentorfoundation.org. Watch their video (above) and volunteer to help or help share their story. You can make an enormous and immediate impact. Thank you. Our Treasurer is cooler than your treasurer! Seriously. Jeff McCuen has been treasurer of Worthington Schools since 2007. In this role he is the Chief Financial Officer of the District, responsible to the Board for maintaining all financial records, acting as custodian of all District funds and preparing the District’s 5-year forecast. Jeff is a certified public accountant in the state of Ohio and an active member of the Worthington AM Rotary, the Government Finance Officers Association, the American Institute of Certified Public Accountants, and the Ohio Association of School Business Officials (OASBO). Through OASBO, Jeff has received many awards including the 2008 Rich Unger Professionalism Award, the 2012 Chuck Gossett Memorial Scholarship Award, and the 2014 Distinguished Service Award. In September 2013, Mr. McCuen received the Ohio GFOA Lifetime Achievement Award in recognition of his many years of public service. Not only is Jeff recognized as an outstanding school treasurer, he’s widely recognized as a very conservative treasurer. (This is a good trait for someone managing over 125 million public dollars every year.) 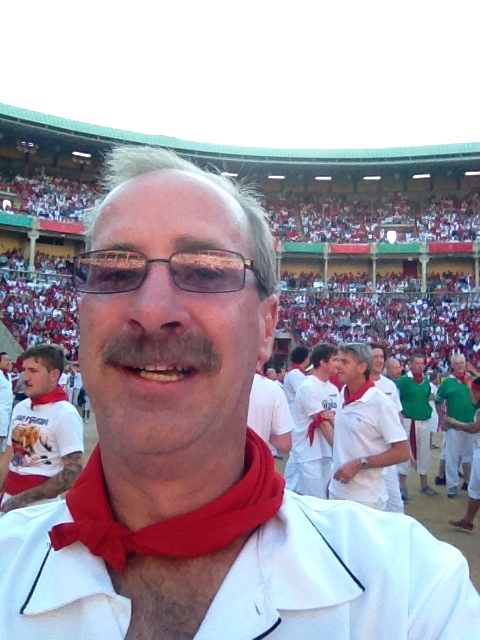 But, it’s also why, when I learned that while on vacation in Spain this month Jeff ran with the bulls in Pamplona I was shocked! Totally shocked! You’ve likely seen the running of the bulls at some point on television. According to Wikipedia The Running of the Bulls is a practice that involves running in front of a small group of cattle, typically six, of the toro bravo breed that have been let loose on a course of a sectioned-off subset of a town’s streets. The most famous running of the bulls is in Pamplona during the San Fermín festival, which is held annually from July 6 to 14. It was during this very festival that our conservative, book smart, treasurer decided to get up early, have several espressos in a local cafe, and take his chances running with the bulls. Now, there may be someone who may have wanted Jeff to get gored by a bull, and had that occurred it might have added to this story, but I’m happy to report that Jeff not only survived his adventure but he has the video evidence to prove it. Jeff McCuen is no longer just the Ohio Government Finance Lifetime Achievement winner, he’s now the Treasurer who ran with the bulls and thus our treasurer is surely cooler than your treasurer! We’re less than a month from the start of the 2015-2016 school year in Worthington. While over 1,000 students have participated in summer programming for enrichment or intervention, our traditional school calendar will resume on August 19th and we’ll welcome over 9,500 students back to our campuses. With less than a month left until opening day it occurred to me that as a family we have some work to do on our summer reading goals. 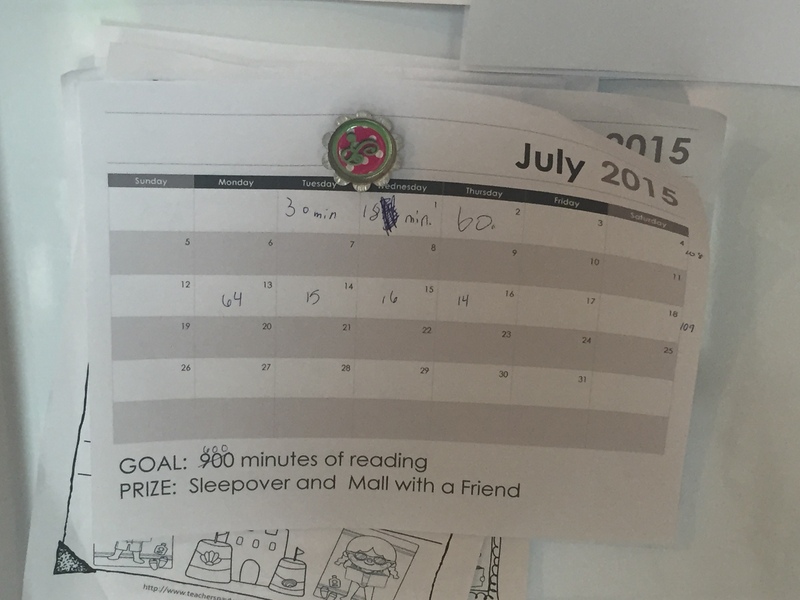 We’re one month from the start of school and we have more than a wee bit of catching up to do on our reading goal. Really, I’m not certain how time got away from us or why we have struggled such to make this happen. We’re now outlawing all fun in our home! We must read, read, read! (J/K) Reading is fun and we’re working to make it so. We’re just not there yet with one, maybe two, of our three kids. While I am hopeful that those of you reading this post have not experienced the same struggle and have met all your summer reading and math goals, there maybe someone out there who can relate. I, for one, will be very thankful on August 19th when our incredibly talented teachers are back in the classroom and my own children are reading daily in school. 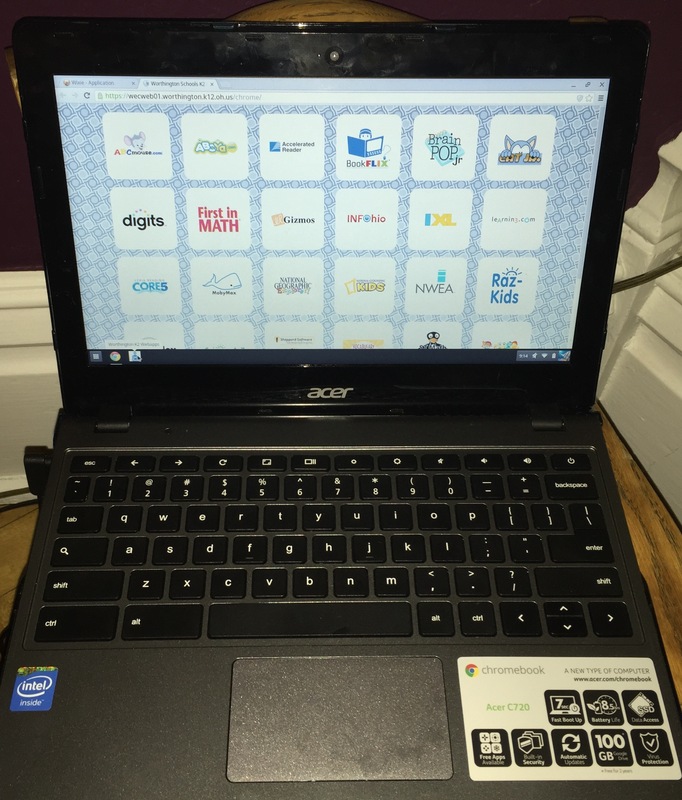 Worthington will establish a computer lending library at each school where students can check out a device and 4G access points so students who need a device at home overnight or on the weekend can continue their learning. We believe that technology will continue to play a larger and larger role in personalizing student learning. It’s important that all Worthington students have the tools necessary to be successful. Our hope is that our technology lending libraries will allow all students the access they need to learn, grow and excel. You can read more about our technology plan and access our technology plan website here. With a single stroke of a pen Governor Kasich erased millions of dollars that the Ohio House and Senate had determined should continue to flow to Worthington Schools. With this decision, Worthington will receive less money from the State of Ohio over this biennium than we had in previous years. In Worthington we’re obviously very disappointed by this. As the state biennial budget was finalized last Tuesday night Governor Kasich announced his veto decisions for HB 64 that included the deletion of 44 line items, including the second year of tangible personal property (TPP) reimbursements. These appropriations had been included in both the House and Senate versions of the bill, as well as the conference committee report. Back in FY11 Governor Kasich reduced the reimbursement for Worthington Schools from $15 million annually to $10.6 million by the end of fiscal year 2013. It’s now clear that the phaseout on Tangible Personal Property Tax reimbursements will continue as scheduled until Worthington’s entire $10.6 million dollar annual allocation is eliminated. Thus, a significant revenue stream that Worthington has relied upon for decades will be gone. The elimination of this revenue has already been accounted for in our planning and forecasting models so it doesn’t change our predicted levy timeline, but that doesn’t make it any less disappointing. 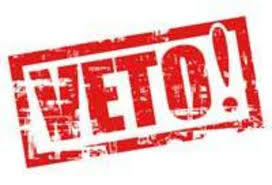 In his veto message, the Governor stated that he believes that districts such as Worthington have the “capacity” to raise those funds locally and therefore, the money should be redistributed elsewhere. That’s a premise that we take umbrage with. State funding for public education has been a consistent challenge. A local school levy is the only surefire way to know that your tax dollars are going to your school district. Statewide taxes are always going to be redistributed away from suburban school districts like Worthington. With that in mind Worthington Schools will continue to run a lean operation that analyzes every dollar that is spent. We’ll make sure money is prioritized to the classroom and we’ll continue to ask only for reasonable levy requests at reasonable intervals.